In a day that could’ve given the Rockies their first four-game sweep of the season, Mets pitcher Dillon Gee put on a solid performance and threw six scoreless innings. Jhoulys Chacin made his first start of the season and showed signs of rust, walking five batters and giving up four earned runs. Justin Morneau provided the lone spark for Colorado, shooting a ball over the fence in right field in the bottom of the ninth. It proved to be too little, too late. 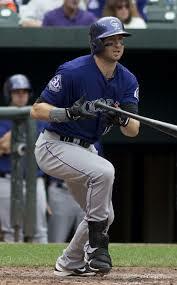 The Rockies will be in action tomorrow night when they host the Rangers on Purple Monday. I chose to live-tweet this game and retweeted credible sources (such as Adam Rubin and MLB) and a fan photo. I also was able to gain some interaction with a Mets fan at the game. Below is my social media recap of today’s loss. You can scroll through my feed on Twitter searching #BSBtweets. This behind-the-back play was Gee-nius. GIF: http://t.co/AguzKgeGQZ … We’ll show ourselves out. That was Brandon Barnes’ 5th hit as a pinch-hitter this year. Coming into today, there were only 2 MLB players that had that. The #Rockies are getting shut out at home. Didn’t think that was even possible. An outstanding effort by Gee today. 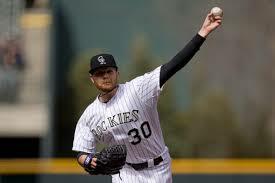 To hold this Rockies team without a run in 6IP is an impressive accomplishment, with or without Tulo. TGIF, am I right? Just get through today and then enjoy some Rockies baseball! Here is a look into the upcoming road trip for the Rockies. Purple Row examines the good, the bad and the ugly thus far into the season. Brandon Barnes is earning every opportunity he gets. 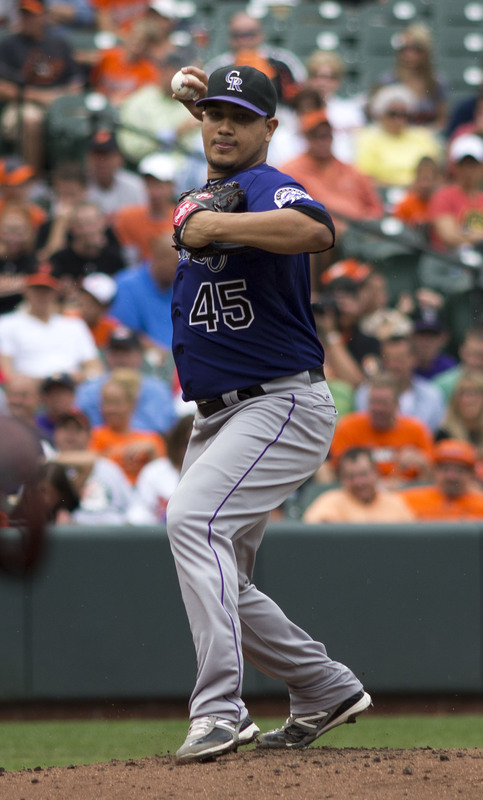 Jhoulys Chacin began his rehab stint with the Sky Sox last night. Rockies are beginning to shift into excellence. 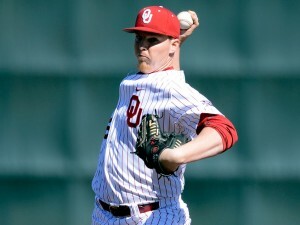 Nobody’s perfect, but Jonathan Gray was close. Can Walt Weiss take Colorado to the next level? Rule 5: the Tommy Khanle story.